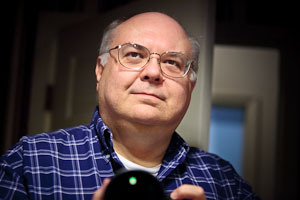 John Blakney lives in Little Rock, Arkansas and has been actively imaging the world around him since he was in grade school. He majored in Photographic Science at Rochester Institute of Technology and is at home with all kinds of conventional and exotic imaging processes, still and motion, chemical and electronic. He is an environmentalist and especially enjoys working with edible subjects which generally find themselves recycled into his next favorite hobby, cooking.